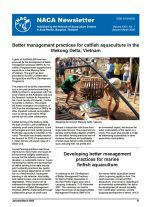 Better management practices for catfish aquaculture in the Mekong Delta, Vietnam. Developing better management practices for marine finfish aquaculture. Workshop on modelling carrying capacity for tropical finfish cage culture: Towards a consensus view. First comprehensive genetic management plan for Asian fish species: Mahseer. NACA and World Fisheries Trust sign agreement on collaboration. Fish Health Master Class. Second Workshop on Application of Molecular Genetic Techniques in Inland Fisheries and Aquaculture Management. Two new species of spiny eels described from Myanmar. Importance of species identification in conservation. Koh Yao Noi mangrove replanting in celebration of 80th birthday of His Majesty the King of Thailand. Responsible movement of live food finfish within ASEAN: Implementation workshop. 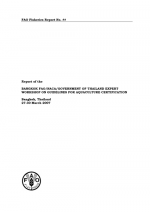 Consultation on aquaculture certification guidelines. Strengthening regional mechanisms to maximise benefits to small-holder shrimp farmer groups adopting better management practices. 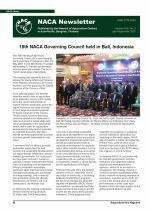 18th NACA Governing Council held in Bali, Indonesia. Strengthening aquatic animal health capacity and biosecurity in ASEAN - final workshop. Aquatic animal pathology master class. Vietnamese extension manual on culture-based fisheries. New project: Culture-based fisheries development in Lao PDR. Guidelines on digital publishing: a practical approach for small organizations with limited resources. Workshop on understanding and applying risk analysis in aquaculture. GISFish: Remote sensing and mapping for aquaculture and inland fisheries. Online encyclopeadia to list 1.8 m known species. DELTA 2007. NACA/FAO partnership working to establish guidelines for certification of farmed fish. Asia-Pacific Aquaculture 2007, 5-8 August 2007, Vietnam. Skretting sponsorship & scholarships for the Marine Finfish Aquaculture Network. 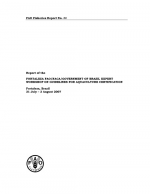 The eleventh regular session on genetic resources for food and agriculture. 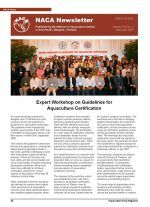 Expert Workshop on Guidelines for Aquaculture Certification. Responsible movement of live food finfish within ASEAN: Cebu Workshop finalises the standard operating procedures. Information and capacity requirements for maintaining aquatic animal biosecurity identified. China-ASEAN efforts to minimise risk of spread of aquatic pathogens. National Centre for Sustainable Aquaculture inaugurated. NACA Better Management Practices program expands in Indonesia. 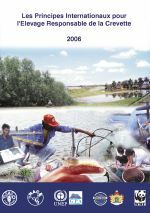 Manual on Application of Molecular Tools in Aquaculture and Inland Fisheries Management. Research Needs to Sustain Asia-Pacific Aquaculture to 2025 and Beyond. Endemic freshwater finfish of Asia: Distribution and conservation status. Iranian officers train in advanced marine shrimp farming and meet Iraqi delegation at NACA. 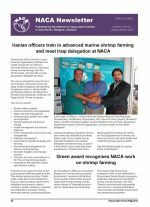 Green award recognises NACA work on sustainable shrimp farming. 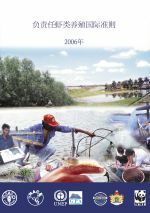 International Principles for Responsible Shrimp Farming now available in Spanish. Building capacity on aquatic animal epidemiology in I.R. Iran. NACA Fisheries Team meets with new Governor of Aceh. Aquaculture Certification: Programme to implement the COFI Sub-Committee on Aquaculture recommendation. Recent Developments in the Aquaculture Feed Industry. Global Advances in the Ecology and Management of Golden Apple Snails. NACA mission to Myanmar. Workshop on Insurance in Aquaculture to be held in Bali, May 2007. Catfish 2007 Vietnam. Tilapia 2007 Kuala Lumpur. L'élevage de la crevette est l’un des secteurs d'aquaculture le plus en essor dans beaucoup de régions du monde, il est également l’un des plus controversés. L'expansion rapide de ce secteur a généré, certes, des sources de revenus pour plusieurs pays, mais elle a été accompagnée par une préoccupation croissante sur les impacts environnemental et social. Les Principes Internationaux pour l'Elevage Responsable de la Crevette fournissent la base sur laquelle les parties prenantes peuvent collaborer pour un développement plus durable de l'élevage de crevette. O Cultivo de Camarão é um dos setores de mais rápido crescimento na aqüicultura em várias partes do mundo e também o mais controverso. A rápida expansão deste setor possibilitou a geração de renda para muitos países, entretanto, ela tem sido acompanhada por crescentes preocupações sobre seus impactos ambientais e sociais. Os Princípios Internacionais para a Carcinicultura Responsável provêm a base sobre a qual todas as partes interessadas poderão colaborar para um desenvolvimento mais sustentável do cultivo de camarão.